Over 19 years, Joanina has established itself as an authentic Italian experience that can make you feel you’ve been transported to Tuscany. 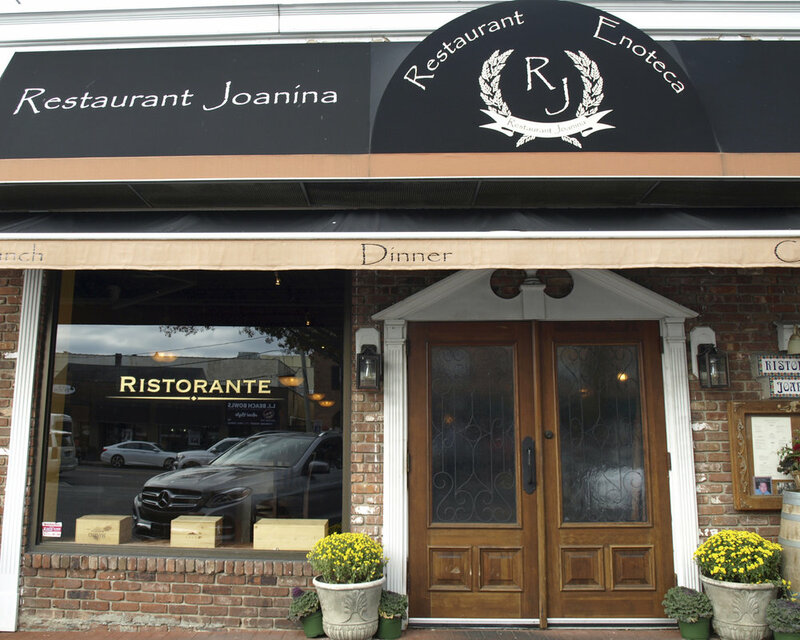 Joanina began as a gourmet deli, and progressed into a cozy restaurant known for simple but delicious pasta dishes. As word got out and demand increased, owner Bobby Oliva expanded the dining room and opened the Wine Shop next door in 2009. The restaurant has been a family affair. Oliva’s late father crafted wooden tables and many of the dishes come from family recipes. It’s easy to feel you are in someone’s villa. The restaurant creates a romantic atmosphere for couples, but can also be a place for families to share time together over classic plates. To start, the Carciofi alla Griglia ($12) is light artichoke salad packed with flavor. The pan seared long stem artichokes atop a bed of spinach are dressed with a balsamic vinaigrette and shaved parmigiano. Keeping things light, the Melanzane al Pomodoro e Basilico ($10.95), is a wonderful starter for any eggplant lover. The thinly sliced eggplant is cooked in the restaurant’s wood oven and covered in fresh tomato basil sauce, with shaved ricotta salata. The oven has been in the establishment for 25 years and has become a focal point of the cuisine. “We do a lot of cooking in the wood oven, we make the fish, lamb, and chicken in the wood oven,” Oliva said. Hot from that oven, Joanina’s Pizza Bianca con Speck ($15.95) is a white pizza with smoked prosciutto, mushrooms and white truffle oil drizzleand fresh mozzarella. “Some people just come in for a salad, a piece of pizza and a glass of wine,” Oliva said. But if you want something more filling, you can’t go wrong with the Pollo Scarpariello ($23), the restaurant’s most popular dish. The wood oven roasted chicken, homemade sausage and potatoes with garlic, lemon and rosemary, and spicy cherry peppers give it a kick that brings the dish together without overwhelming it. “It’s nothing too nouveau or fancy, it’s simple and fresh ingredients,” Oliva said. 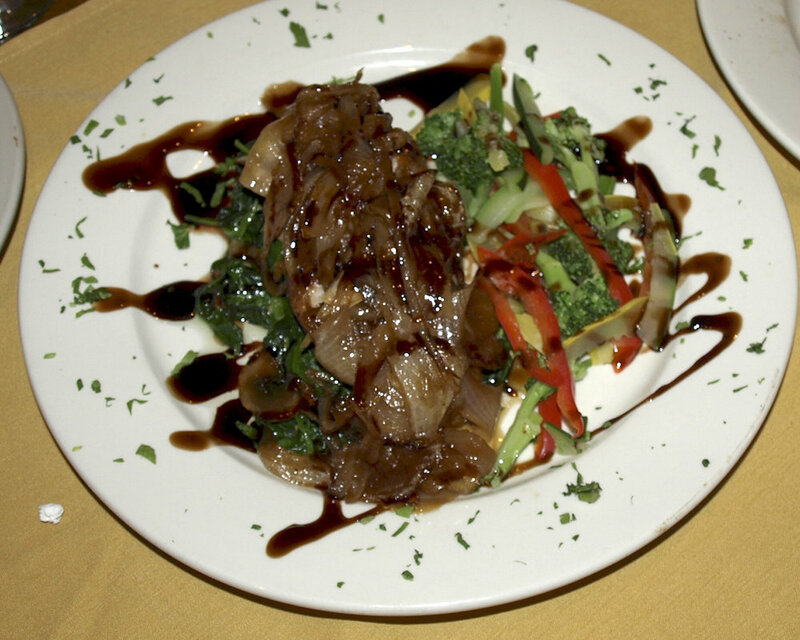 Anatra Arrosto ($25) is roast Long Island duck breast with caramelized onions and sauteed spinach with a balsamic reduction drizzle. 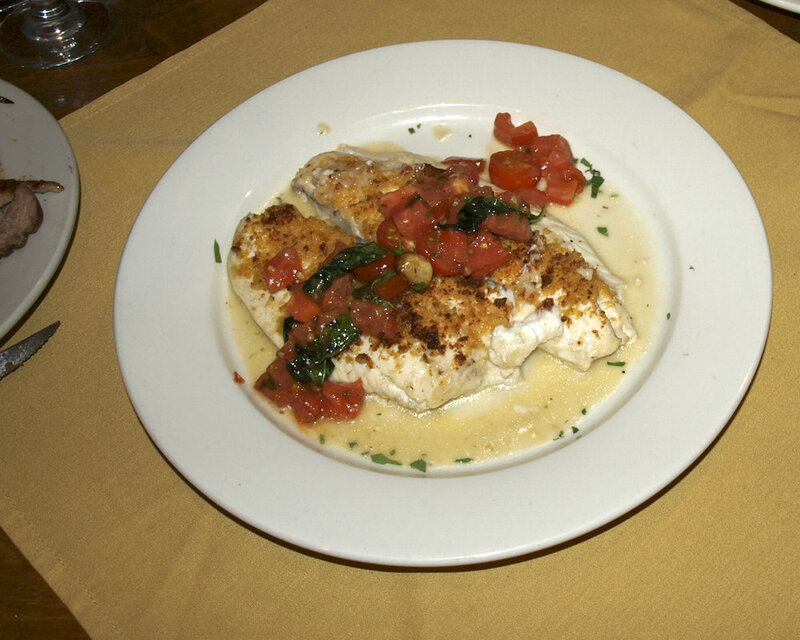 Another mouth-waterishing entree is Sogliola Francaise ($23.95), filet of sole covered in breadcrumbs, oregano and fresh herbs, with a lemon wine sauce and tomatoes with fresh basil on top. To finish it all, the tiramisu that was made that day was light and creamy, with blueberries and whipped cream on the side to add to its beautiful presentation. Much of the produce served comes from farms out East, making it as fresh as possible. Along with that, many of the pastas and sausage are made fresh daily. Hours: Tuesday-Thursday, noon - 10 p.m.; Friday, noon - 11 p.m.; Saturday, 5-11 p.m., Sunday, 5-9:30 p.m.